Some of my favorite childhood memories happened in my backyard on my swing set. I remember pumping my legs and going higher and higher, all the while singing favorite Disney songs—especially anything that Ariel from The Little Mermaid sang. 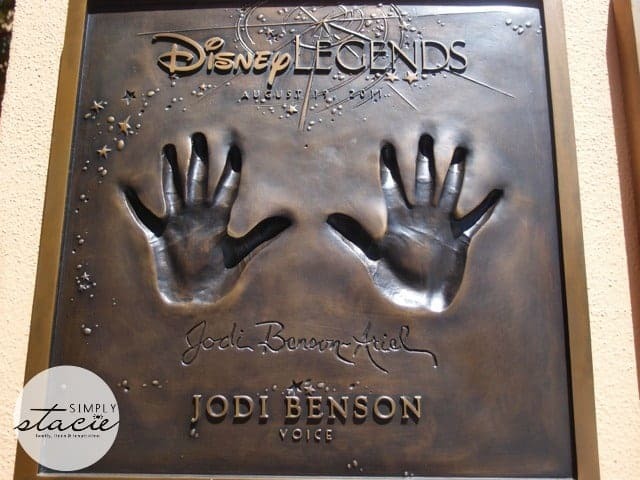 At a young age, I also knew the name of the actress who gave the little mermaid her voice: Jodi Benson. I have vague memories of watching behind-the-scenes interviews with her as well. I loved singing so much that I was in my schools’ choirs from kindergarten through seventh grade (I didn’t participate in eighth grade), and then took it up again from ninth grade throughout my senior year. I don’t sing publicly anymore, but every chance I get to attend a live musical or a concert of some sort, I take it. Now I have a little girl of my own, who also loves mermaids, Ariel, and Disney. She reminds me of myself—especially when I catch her singing to herself in the bathtub or while she’s playing. She makes up her own songs, but one I frequently hear her singing is the melody Ariel sings when she gives up her voice to Ursula for true love. Never did I think I would be meeting my childhood idol in person—much less get to hear her sing my favorite The Little Mermaid song. It still feels like a dream, but both happened! First, we listened to a mediated panel where Jodi Benson, Ron Clements, and John Musker talked about making The Little Mermaid. Then, at the very end, someone asked Jodi Benson if she would sing for us. I remember being so in shock (as much as I wanted to hear her sing in person, I wouldn’t have worked up the courage to ask) that I couldn’t get out my video recording device in time. Instead, I just sat back and chills went up my spine as the entire room went silent so she could sing. Jodi’s voice is just as strong, sure, and hopeful as it was the day she recorded “Part of Your World” for The Little Mermaid. 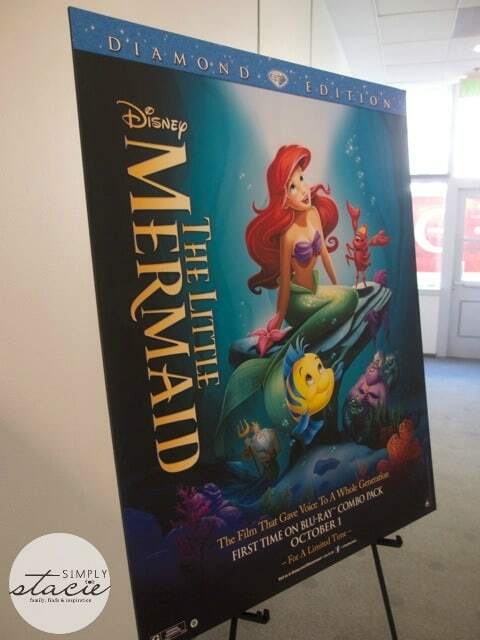 Disney’s The Little Mermaid is yours to own on Blu-ray: Diamond Edition (with DVD and Digital Copy) on October 1st, 2013. Sounds so exciting especially getting to meet Jodi! Can’t wait to share the little mermaid with my 3 year old daughter as she loves the princesses! I know ariel will be a favourite of hers too! That would have been an extremely cool experience to meet the voice of Ariel! How much fun! Thanks for sharing! Congratulations on getting to meet your childhood role model, and thank you for sharing that in this review. what an amazing experience! the little mermaid is my favorite Disney movie. I am so jealous and I have chills and did I mention am jealous! She is absolutely gorgeous and she is one of the many people I would absolutely love to meet. How awesome! The Little Mermaid came out when my sister was a little girl and I can remember how much she loved it and I have to say even though I was much older than her, I loved it too! She has such a beautiful voice – I saw her on TV the other day and it gives me goose bumps to hear her sing. What a great opportunity! What an incredible opportunity! Thank you for sharing your experience. We are headed to Disney this March (been there once before). I love meeting the princesses!